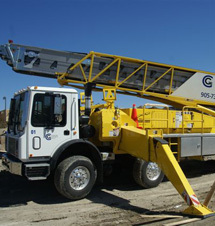 Concord Construction Group (CCG) is a full service heavy construction firm with over 25 years of experience in the low-rise construction industry. From demolition and excavation to forming and slab and drain work we have the quality, value and service that will meet and exceed your most demanding expectations. We service both residential and industrial/commercial customers and are experienced in both routine projects and those requiring specialized skills including underground garages, retaining walls, basement underpinning, and high one-section pours. We can service projects of all sizes from renovations or custom homes to small infill projects or subdivisions to large multi-phase multi-year developments. We are one of the only companies in the GTA that can bring this full repertoire of services to you and have the management team to ensure that our work is coordinated every step of the way. We use technologically advanced, state-of-the-art equipment to ensure your projects gets completed efficiently, responsibly, safely, and economically. We have dedicated, respectful and experienced employees who take great pride in helping you make your project the best it can be. Also, because we are a multi facetted contractor, your site foremen have the luxury of dealing with only one company to meet all of your scheduling needs, both pre and post production. We also have a sophisticated back office available to assist you with engineering, estimating, design work, AutoCAD changes and surveying. Our company also adheres to the highest level of safety and you can rest assured that each one of our crews has the required first aid training. In addition, all of our employees are required to participate in periodic training and refresher meetings. Finally, on-site unannounced visits by independent safety consultants serve to ensure everyone's safety is of paramount concern. We will also ensure that any Ministry of Health and WSIB Health and Safety paperwork matters are handled by us and we will fully protect you. Please feel free to browse our website and then visit our contact us tab to find out how to receive further information.